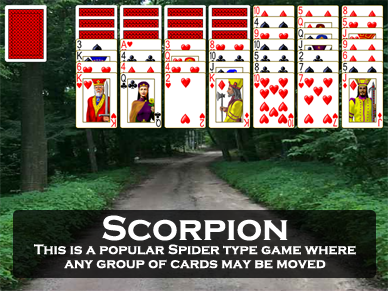 Screen shot of the game Scorpion (similar to Scorpion Towers) from Pretty Good Solitaire. 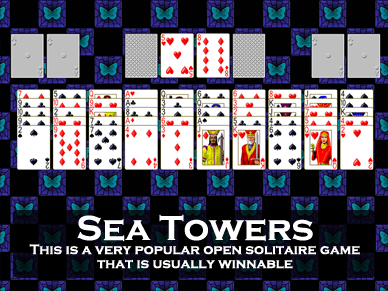 Scorpion Towers is one deck game that is a cross between the popular games Sea Towers and Scorpion. At the start of the game, the entire deck is dealt out face up to 10 tableau piles, five cards to each pile. The remaining two cards are dealt one each to two of four cells. The cells are storage places for one card each. In the tableau, building is down in suit. Groups of cards can be moved if they are in sequence down in suit. In addition, you can move any group of cards regardless of sequence if there are enough empty cells that the cards could be moved individually. This means that there is a clear bonus to keeping as many cells empty as possible. Spaces in the tableau can be filled only by Kings or a group of cards headed by a King. However, when all four Kings have been moved to empty spaces, you can then fill any additional empty spaces with any card. There are no foundation piles. The object of the game is move all of the cards into four piles in sequence down by suit (as in Scorpion). Once this is done, the game is won. A good question is whether all games of Scorpion Towers can be won. 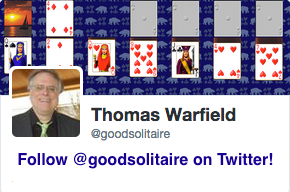 From the user scores, it is clear that unwinnable games are not common. 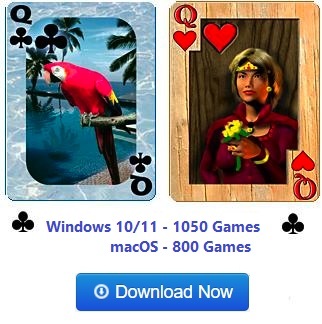 Scorpion Towers is one of the 850 games in Pretty Good Solitaire.